Forget dry January this year, it’s all about what we eat or shouldn’t be eating to save ourselves and the planet this month. We’ve been inundated with advice and research. We’ve had Veganuary, as well as a new report published by the Lancet under a coalition called EAT. Their advice is cut right back on meat and dairy, but some critics think that the coalition of EAT is what social scientists call ‘bootlegger and Baptist ‘coalitions. Unilever is acquiring a meat-substitute company called “The Vegetarian Butcher” as I’m sure it sees the rise of plant based diets of economic interest. “The Vegetarian Butcher” was conceived in 2007 by farmer Jaap Kortweg, chef Paul Brom and marketer Niko Koffeman, a Dutch Seventh-Day Adventist who is vegetarian for religious and ideological reasons. However, according to Frédéric Leroy, professor of food science and biotechnology the campaign to ‘conquer the world with plant based food’ can be rather simplistic and one-sided, with some dangerous implications. He believes that some of the science behind the EAT campaign is misleading. It ignores research from the PURE findings, that suggests people around the world should limit the amount of refined carbohydrates and sugar and adopt full fat dairy foods and unprocessed meat as part of a healthy diet. With this in mind, we decided to run our own event with Dr Tony Butler last Thursday to expand on this thinking and explore the part fat in milk and dairy products can play in keeping us healthy. Dr Butler himself lost a substantial amount of weight after cutting out carbohydrates, whilst eating larger portions of meat and full fat dairy. Neil and I started the event talking about how not all milk is the sa me. We believe milk and dairy plays an important part in a healthy diet but what our cows eat is just as important as what we eat. The diet of the cow has a direct influence on the milk she produces. 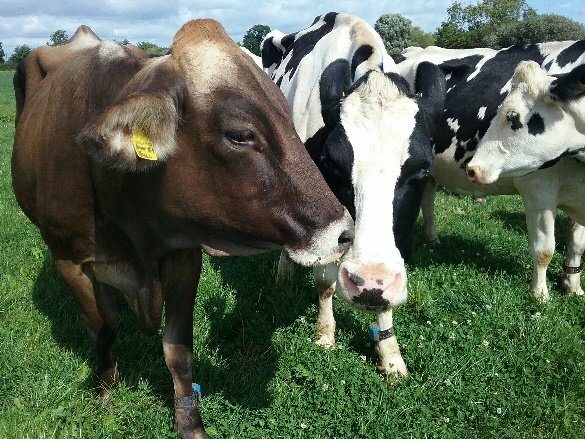 A diet for cows based largely on grass and legumes, such as clover, will produce milk with higher levels of healthy fats such as Omega-3, Vitamin D and CLA (a beneficial fatty acid named conjugated linoleic acid) which are good for heart health. Our main source of Vitamin D is sunshine, but it’s also found in milk and dairy products. Vitamin D works with calcium and phosphorus for healthy bones, muscles and teeth. Vitamin D is also important for improving our immune system and a lack of Vitamin D can lead to rickets in children. So where did the switch from full fat start? In 1980, the US government issued its first Dietary Guidelines. In 1983, the UK government issued advice on what to eat that followed the American research. In America, Doctors such as Ancel Keys produced research to show that fat was responsible for the rise in heart disease and the nation were told to increase their carbohydrates intake and ditch dairy and meat. Instead, heart disease and diabetes soared, along with obesity. It’s good we’re talking about what we eat as we need help. The food choices we make have a huge impact on our health and wellbeing and ill informed choices are placing an intolerable burden on the NHS. So, what should we be eating? Dr Butler believes that we need to be eating more of this. Fresh food that isn’t processed and with the least human interference. When we eat full fat, good quality milk and dairy, we feel fuller for longer. This means we naturally eat less, as we eat better. A study in Sweden found children that drank whole milk weighed less than children who didn’t drink milk or a semi skimmed milk. Better quality food costs more for that very reason, it’s better quality and the price we pay reflects its true cost of production and value in our diet. When we value something, we’re also less likely to waste it, so helping reduce food waste. Making a better milk choice has the added benefits of supporting milk production through local pasture based dairy farmers, with less need to increase milk production from large intensive dairy farms. Dairy can play a huge part in keeping us healthy, but we need to respect it more. Put back the skimmed milk and instead go for the Pasture Promise whole milk. Don’t see it as a treat but your way to help your health, support local dairy farmers and keep cows in fields. 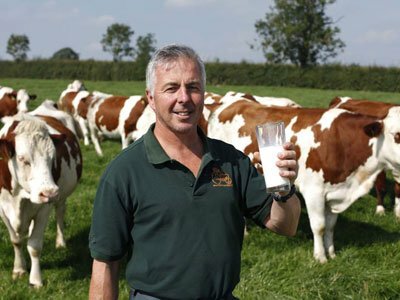 To see the presentation, go to https://www.facebook.com/freerangedairy/ for a recording of the talk with Dr Tony Butler.